Flats, blow outs, skids and longer stopping distances can all be the result of Papillion folks driving around on under-inflated tires. Now, it's hard to tell when a radial tire is under-inflated but your service technician at Yeck's Tire & Auto Repair can help you. The tire may not look low until it gets below 20 pounds - which is significantly under-inflated. 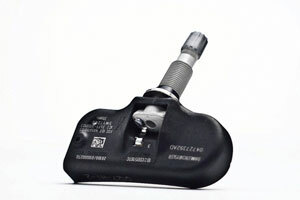 Your newer car or light truck might be equipped with a tire pressure monitoring system (TPMS). This technology has been used by Nebraska race car drivers for years. They are able to head off problems from under inflation by closely monitoring tire pressure on the track. Obviously, TMPS systems don't come free for Papillion car buyers. U.S. government studies have estimated the net costs of the TPMS system itself, maintaining the system, replacement of worn or broken parts and tire repair cost increases. The costs are partially offset for Papillion drivers by savings in fuel and tire wear. There's also a saving in property damage and travel delay. The net cost is estimated to be between $27 and $100. The government predicts fewer fatal accidents. They estimate that is will cost between three and nine million dollars for every life saved. This new safety equipment will help Papillion motorists avoid the most common vehicle failure, and possibly a catastrophic accident. Rim diameter is the width in inches or cm of the wheel from one end to the other. The diameter of this wheel is 16 in. Speed rating tells you the maximum service speed for a tire. A speed rating isn't a recommendation to exceed speed limits, and doesn't indicate how well a tire handles or corners. Learn more about tire Speed Ratings. Many auto owners throughout Council Bluffs Iowa and Omaha Nebraska love driving, love their vehicles: To them, picking out the right tire is just as important - and just as much fun as finding the right shoes is to a runner. Now not everyone in Eastern Nebraska or Western Iowa are like that. Many NE people have found that shopping for tires is overwhelming because there are just so many choices. So let's break it down: there are four main categories of tires, depending on the kind of driving you do. First, there are summer tires. You would buy summer tires if you're looking for maximum summertime performance. The rubber is a little softer to help you stick to the road in fast corners. The tread has wide blocks at the shoulder to stiffen the tire in turns. The tread design can handle rain, but really isn't set up for snow and ice. Next comes winter tires. You would buy winter tires if you still like performance driving when it's cold and slippery out, so you need a tread design that'll really bite into ice and snow. The rubber compound is formulated to stay pliable when temperatures drop below 45 degrees so you get great traction even on dry roads. 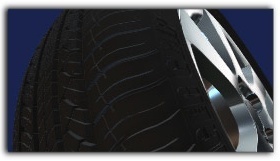 On the other end of the winter tire spectrum are tires designed to handle severe ice and snow conditions. The third category is all-season tires. Now, most new cars come with all-seasons in places such as Bellevue, Omaha, Ralston and Council Bluffs. The idea is a tire that you can use all-year round in Nebraska and Iowa. Naturally, the tread design and rubber compound is a compromise that won't give you the extreme capabilities of summer or winter tires, but if your driving and weather conditions aren't at the extreme ends of the spectrum, all-season tires might suit you just fine. The last category is all-terrain tires. These tires are designed for both Omaha expressway and off-road use. If you need a tire that gets good traction in the dirt and is tough enough for rocks and ruts and stuff, but still performs well on the road, an all-terrain tire might be just what you need. Talk with your helpful Yeck's Tire & Auto tire professional in Bellevue about how and where you drive and get his suggestions for tires that'll work for you.